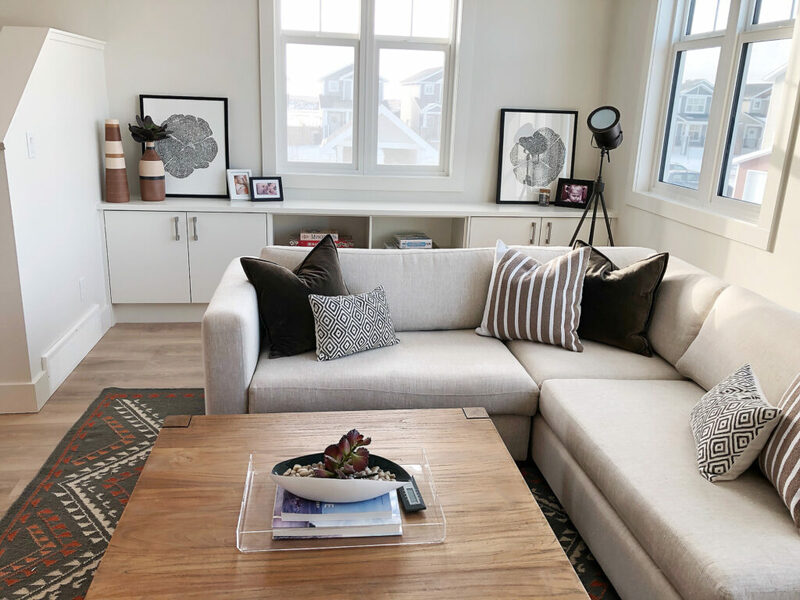 We are so excited to open our New Harvest Showhome located at #623-701 Meadows Blvd. We absolutely love this layout and we are sure you will too! 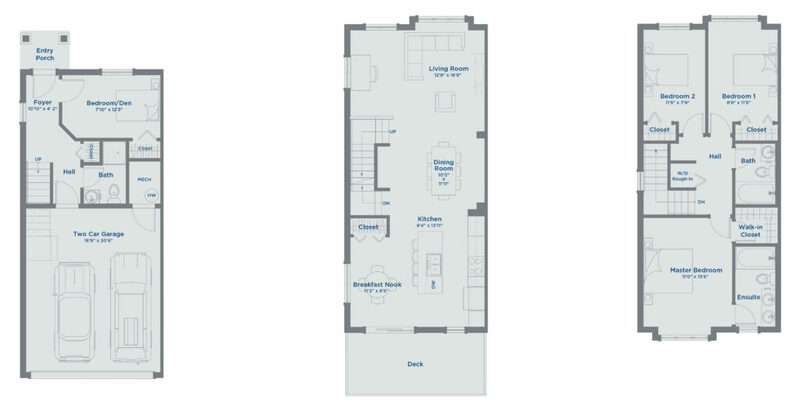 The new showhome is Plan A, modeled after our very popular C floorplan. It is 1622 square feet, featuring 3 bedrooms, 2.5 bathrooms plus a den on the ground floor. You also get the benefits of a 2 car garage for extra storage options and a large outdoor deck off your main living space. 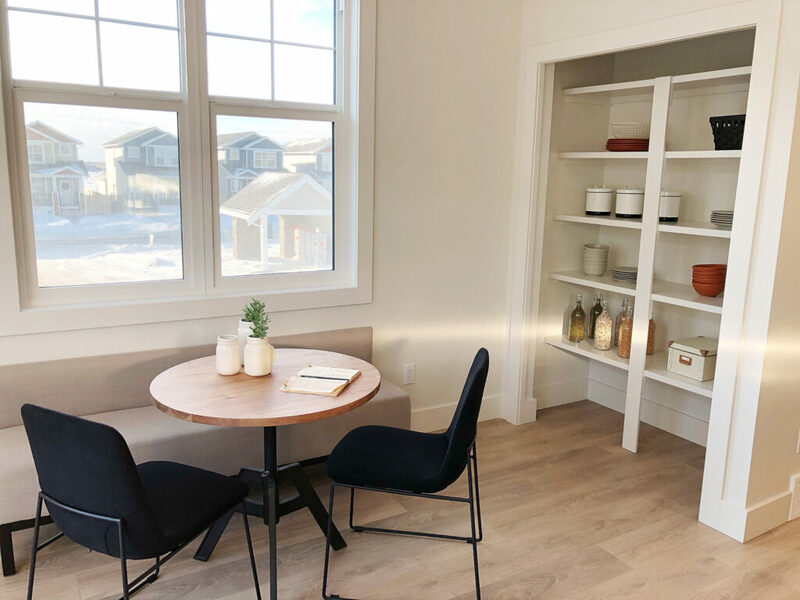 It features a spacious open concept main floor featuring large windows and because it is located in the end unit you also benefit from south facing windows which let in beautiful natural light. 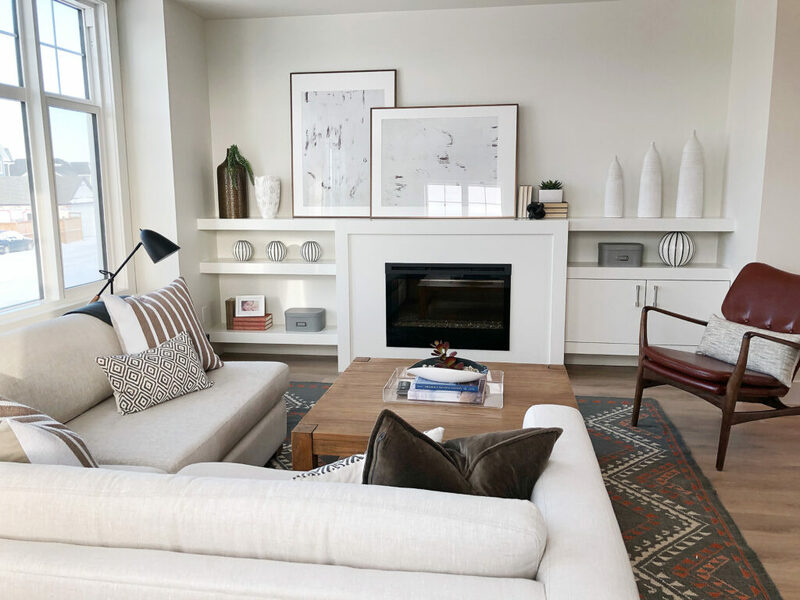 What can be better than cozying up to your fireplace, watching some television and having a place to store electronics and displaying some beautiful art and decor? No one will ever complain about too much storage space. More custom millwork in the living room gives you room to have everything right there in the family gathering space. A breakfast nook beside a big window to start your morning off is perfect, especially when you have a convenient pantry at your fingertips. You can email or call us anytime. 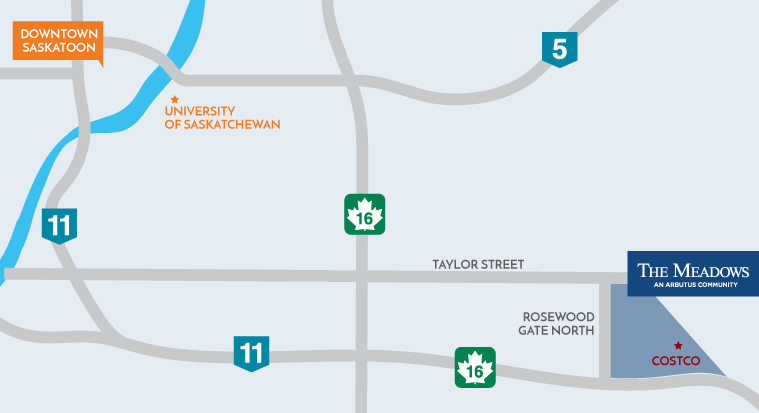 We would love to help you find a home in The Meadows!